Enjoy this new house with all the conveniences of home. 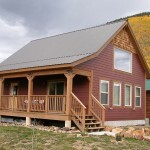 Aspen Manor is newly-built and can comfortably sleep up to 10 people. 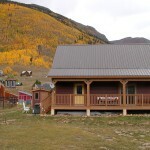 There are four bedrooms furnished with 1 king, 2 queens, and 2 twin bunks. 2 1/2 bathrooms, W/D and a complete kitchen with dishwasher. Amazing views from the large, covered porch perfect for watching the sunset. Features two living areas; downstairs great room is perfect for kids with TV,DVD,VCR, and lots of couch. Upstairs has comfortable seating with surround sound stereo and views. WIFI is included, and this house is on the OHV route. Pets Negotiable.